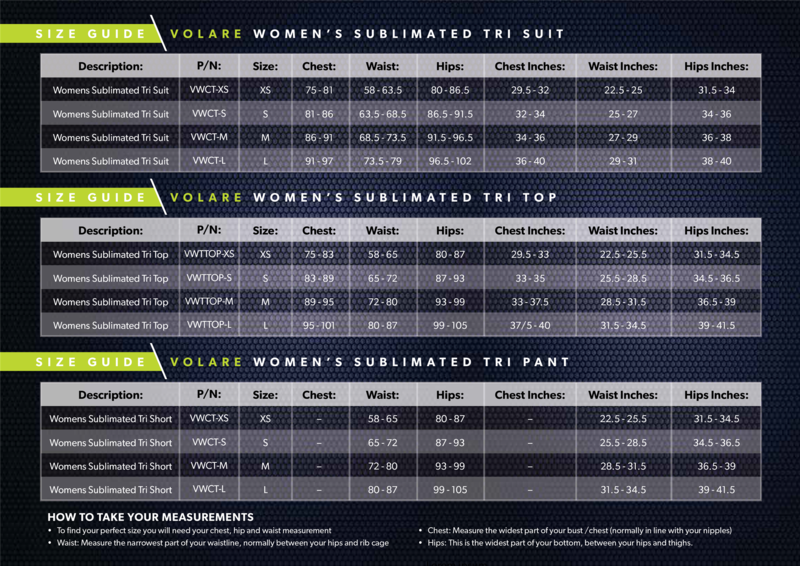 The Volare Sublimated Tri Singlet delivers a cool and comfortable fit across all disciplines no matter what the distance. Whether you are swimming, biking or running the full coverage front and back with dynamic paneling ensures ease and enjoyment. Feature packed and with stylish good looks that will set you apart from the crowd. Storage, 2 back pockets that are perfect for carrying gels, food and race essentials. A favourite choice for short or long course athletes, allowing for easy pit stops when combined with our tri shorts. Aerodynamic design to maximise efficiency. Sizing we use the same size chart as our Swim Skins for easy reference.